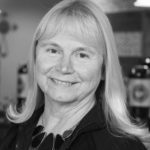 Jeannette has served in many capacities in the state of Washington, the Church of God at the national office in Anderson, Indiana, and the Florida Church of God Ministries in Orlando, Florida. Jeannette attended Gulf Coast Bible College (now Mid America Christian University) and Anderson School of Theology. Jeannette is married to Charles and they have two children and four grandchildren. Demetrius Booker has a dual career, one as Lead Pastor at Lighthouse Community Church of God in Redford, Michigan and the other one as Church Health Minister for the Church of God In Michigan. He has been in ministry for over 41 years. His passion is coming along side churches to help them create healthy church life cycles. Gary and Belinda Kendall are the founding pastors of the Indian Creek Community Church. Gary has 38 years of pastoral ministry experience. In addition to pastoring, Gary co-founded CMA, the Church Multiplication Association which helped 70+ churches and/or planters in 8 years time. Gary travels to China regularly and serves as the President of Project Partner. Tom serves as the Chief Catalyst with Healthy Growing Churches. 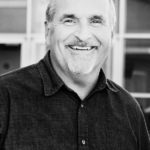 He uses his leadership gifts to help church leaders, on the local, regional and national level, create a multiplication culture within their organization. Tom was the founding at Journey Church, in West Chester, Ohio where he served for over two decades. Tom has twenty plus years of ministry experience. During the past eleven years, he has lead cohorts and coached pastors to spark intentional efforts for both disciple-making and church multiplication. Tom is married to his beautiful wife, Andrea, and has two grown children (Tytus & Hannah) and a daughter in law (Kelsey). 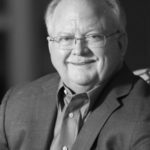 Dr. Doug Talley serves as a consultant for HGC and as Executive State Pastor of Indiana Ministries of the Church of God. He is passionate about churches growing in health and effectiveness. Doug’s pastoral experience includes serving over 25 years as lead pastor and working at the state & regional level. 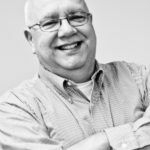 Randy previously served in pastoral ministry, health care administration, and most recently as the state pastor for Ohio Ministries of the Church of God. 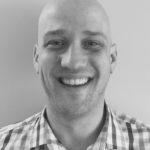 Currently, he serves the church, not-for-profits and for-profit organizations as an organizational coach and a coach to pastors and executive coach to CEO’s. Randy’s coaching specialties are Leadership and Church. 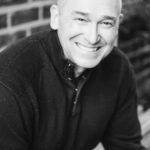 Kirk Lauckner is currently The Navigators 20’s city leader in Seattle WA mentoring and coaching young professionals and artists. Prior to this role he was a worship pastor for ten years at Hopevale Church in Saginaw, MI. He also serves on The Parish Collective board in Seattle, WA. 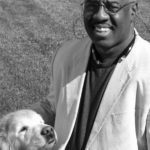 Carl Addison serves as director of two major programs at Indiana Ministries of the Church of God as well as the director of Earthen Vessels Ministry. This ministry includes coaching pastors as well as ministry couples. He is an adjunct faculty member at Anderson University and Indiana Wesleyan University, and resides in Anderson, IN. Carl’s Coaching Specialty is Assessment Coaching. 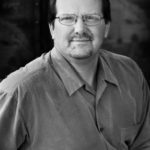 Steve Chiles has been in full-time ministry for 35 years and is currently the Senior Pastor at Shartel Church of God in Oklahoma City. Steve’s Coaching Specialties are Assessment, Leadership, Church, Multiplication. 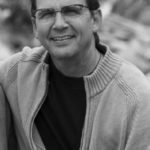 Steve Chiles has been in full-time ministry for 35 years and is currently the Senior Pastor at Shartel Church of God in Oklahoma City. Steve’s Coaching Specialties are Assessment, Leadership, Church, Multiplication. 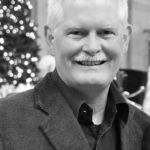 Jim Davey serves as lead pastor for North Hills Church in Phoenix, Arizona. He loves the opportunity to lead a church to discover the mission that God has for them and trying to help a congregation make the turn from its painful past to discover a way to focus outwardly. Jim’s coaching specialties are Leadership and Church. 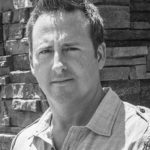 Mark Krenz is the Lead Pastor at McDowell Mountain Community Church in Scottsdale, AZ. Prior to leading MMCC Mark spent nine years planting and leading ONE Community Church in the Phoenix suburbs. Mark also serves on the State Board for the Church of God. His heart beats strong for multiplication through coaching pastors and church planters, developing younger leaders, and starting new churches. Mark’s coaching specialities are Leadership, Church and Multiplication. 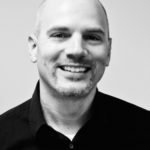 Jeff Matas is the State Pastor of Church Health for Indiana Ministries of the Church of God in Fishers, IN. Jeff’s ministry focus centers on the consultation and coaching ministry and other assignments primarily related to empowering congregations to be healthy and effective in making more and better disciples that are transforming their communities for Christ. Jeff’s coaching specialities are Leadership and Church. 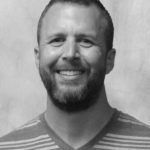 Nate Tatman is the Mission Advancement Pastor at County Line Church of God in Auburn, Indiana. Nate also serves on the Indiana Multiplication Board. 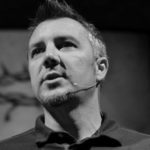 Curt Walters is the founding pastor of Crosspoint Church in Fishers, Indiana. Crosspoint is a seven-year-old church plant that has grown to nearly 600 in weekend attendance through creating a safe environment to invite friends, neighbors and the surrounding community to explore and experience a God who loves and pursues them. Curt’s coaching specialties are Leadership, Church and Multiplication. 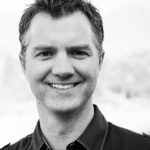 Jake Zaske serves as the pastor of Trinity Grace Church Queens in New York City. Jake has been in full time vocational ministry for the past 18 years ministering in Illinois, England, and California before moving to Western Queens, NYC in 2009 to plant his current congregation. He is currently a certified coach with CMM and a doctoral candidate at Capital Seminary and Graduate School. Jake’s coaching specialty is Multiplication.